Our signature Oatcakes now have a chocolate-y twist. 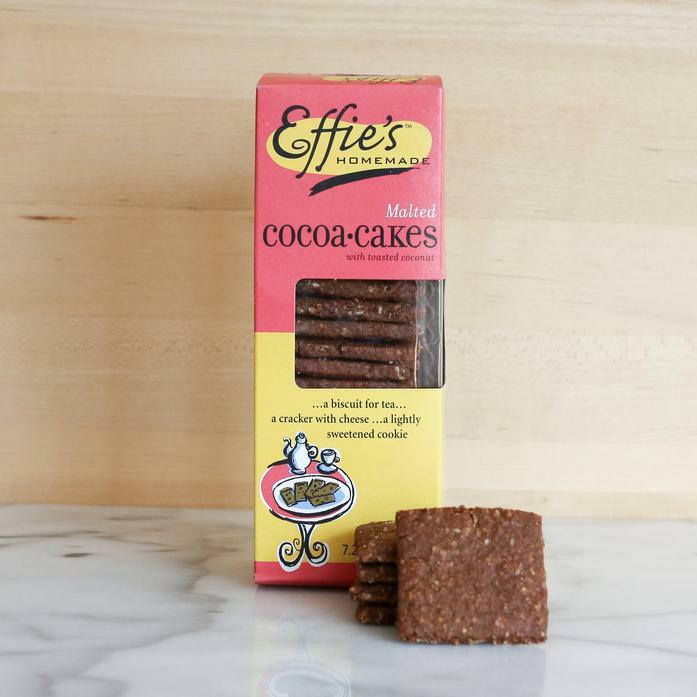 Effie’s Cocoacakes are crisp, buttery cookies lightly malted and layered with toasted coconut. Deep, dark and oh-so delicious, try with a glass of cold milk or crumble on top of your favorite ice cream.